Success doesn’t come overnight to most people. It takes years of hard work, talent, sometimes connections and luck to get where you want to be. But most importantly, it takes a productive set of habits to slowly but surely reach your goal and become a winner in your field. Most CEOs and people of high positions all attest to getting up and starting early. Not only because you can do more but because our brains are sharpest two and a half to four hours after waking. So start that habit of getting ahead by rising early. “What good shall I do today?” Asking yourself this question keeps you focus on your life goals or even the shorter ones and makes you feel more accomplished by the end of the day. Doing several things at the same time doesn’t make you productive, it just adds more to your stress and lessens your efficiency. How can you concentrate and give your all to one task if your brain is also trying to handle multiple activities all at once? Just focus on one task for a period of time. Finish that and move on to the next. An active mind needs an active body. Exercise and having the right diet gives you that added boost to your day, increasing your strength and stamina. You may have all these plans and goals set out for the next few days but if you’re always too sluggish, all that will power and motivation won’t do you any good. Take some time to exercise and look after your eating habits as well. When you get older, you tend to become busier. Time seems to move so fast and you find yourself always trying to catch up with. Breathe and think of the 3 things that are on the top of your mind right now. What’s the most important one out of the 3? Start with that and get going. There are certain times in the day that is in between certain events. They are called time pockets. You usually get them when your walking to one to another, commuting, etc. Utilize this time. Make it inspirational and productive at the same time. Read, listen to podcasts, plan out your day or just daydream if you like. 8. Make time for hobbies. Hobbies relieves stress and fosters creativity. Plus it makes you interesting. No one wants to talk about work when in a party (except when it’s a work-related occasion) so having hobbies is also an interesting conversation starter you can lead with. Think back on the failures, success and lessons of the day. Reflecting on your daily experiences should be integrated into your habit as it helps you step back, refocus and make improvements on your goals. Start having a journal to track down your thoughts and to check how much you’ve changed in a few weeks, months or so. 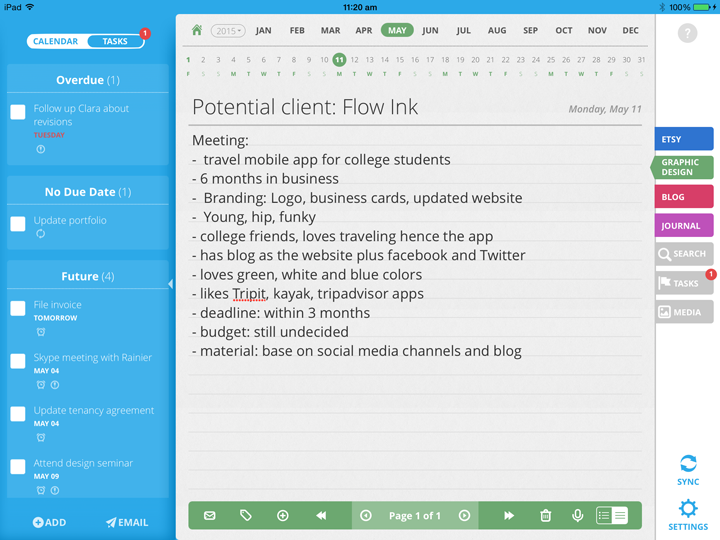 Daily Notes lets you create a journal and track your improvements on daily, weekly, monthly and even yearly basis. You can keep track of the books you’ve read, create a review to practice your writing skills. 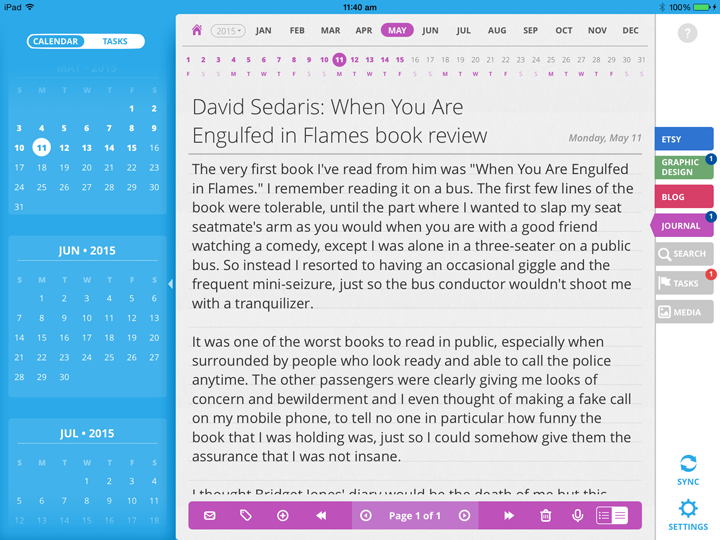 You can also attach photos, PDFs, sketches and even voice recordings to your journal. There’s nothing more pleasing than knowing that you’ve helped someone and or that somehow, you’ve made a positive change in their life. Volunteer in any organization that interests you, if you can. It keeps you grounded and put things in perspective. We recommend choosing only a 1-3 things from this list to slowly integrate in your habit. Trying everything out won’t benefit you in any way and you just might end up hating doing it. Just choose 1-3 habits that’s easy to do, get used to doing them then start adding the others in your list.